The Anatolian Shepherd is a very serious and obedient dog. It is loyal to its family and takes its responsibility of protecting its family very seriously. This breed of dog can be very defensive and takes suspicion of strangers. It will guard its family, but never go looking for trouble. With its role of a strict guard dog, it tends to bark a lot when it becomes suspicious. Even though it is strict, this breed of dog can also be quite relaxed and calm. It is good with children, but may not have the level of playfulness that they need. The Anatolian Shepherd must get ample amounts of exercise every day, whether by a long walk or a brisk run outside. It can survive living outside in mild to cold climates. However, it needs to be close to its family and would rather be indoors if that is where his family is. Maintaining its coat is relatively easy, as it only needs one weekly brushing to get rid of dead hair. The Anatolian Shepherd has a life span of ten to thirteen years. The biggest health concern associated with this breed is CHD. A more minor health concern for the Anatolian Shepherd is entropion. It is suggested that this dog gets hip and eye tests in order to keep its health in check. It is also important to note that the Anatolian Shepherd is sensitive to barbiturate anesthesia. The Anatolian Shepherd comes from a long history of origins as an ancient guardian. The breed most likely comes from the Tibetan mastiff and Roman Mollosian war dogs that came to Turkey over four thousand years ago. They were proved important as great defenders of livestock against frightening predators like wolves and bears. They escorted the nomadic shepherds and grew throughout a large region which explains the breed’s wide variety of size, color, and coat type. However, there were some traits of the Anatolian Shepherd that seemed to be consistent throughout all types: faithfulness, independence, and toughness. While the breed is called a Shepherd, it is somewhat misleading because the Anatolian Shepherd was never a herder. This breed of dog came to America in the 1950’s. Even though it was praised for its talent in guarding livestock against coyotes and other intimidating predators, it remained quite unknown to most dog enthusiasts. It was not until the late 1970s and 1980s that the Anatolian Shepherd began to gain more recognition and appreciation. Owners valued the dog’s utilitarian traits as opposed to its appearance. The Anatolian Shepherd grew in popularity as it slowly began to show that owners desired a loyal companion and faithful guardian more than a dog based on appearance. 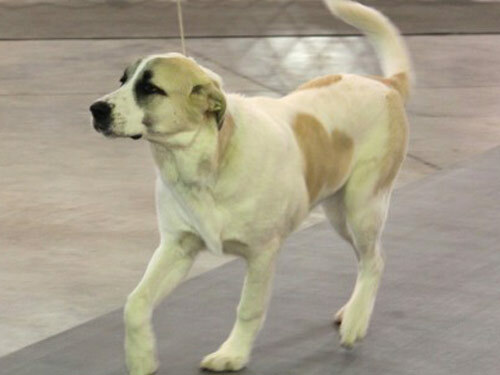 It was not until 1996 that the Anatolian Shepherd was accepted into the AKC Miscellaneous class. Soon after this, it was acknowledged in the Working Group. Now, enthusiasts of the breed are most proud of their Anatolian Shepherd’s working attributes that are superior to many other dog breeds.